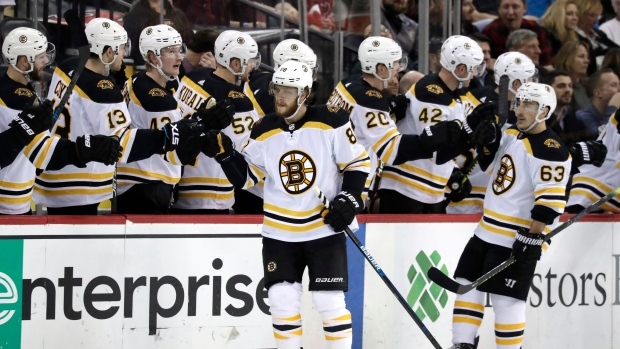 NEWARK, N.J. — It didn't take long for the Boston Bruins' top line of Patrice Bergeron, David Pastrnak and Brad Marchand to get back in gear. Heinen restored the two-goal lead 29 seconds into the third period. Sean Kuraly blocked a shot by Devils defenceman Steven Santini with his glove and Heinen scored on the ensuing rush.